OR.. Better Yet... 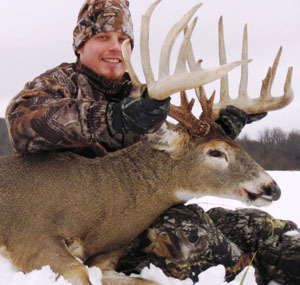 Send us your story and we'll put it up on our DEER STORIES page! 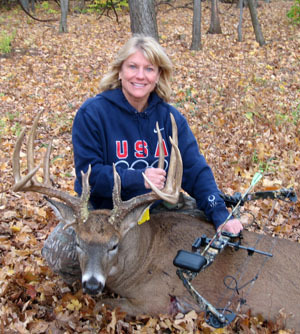 Olympic Gold Medalist Speed Skater, Cathy Turner, arrowed this 13-point that netted 170-1 P&Y in October 2010, the Monroe County bucks gross score is 188-5. 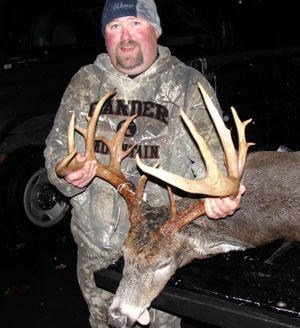 Dave Edwards with his NYS Record Book Buck taken in Scott, NY. 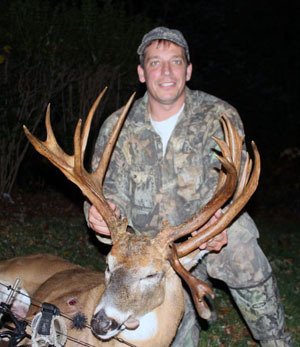 The buck grossed 206-0 and netted 182-0 B&C making it 2010's biggest NY typical whitetail. 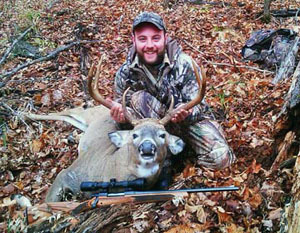 Schuyler Goltry took this 16-point non-typical with three drop tines on October 16, 2010 on Sugar Hill, NY. The big buck weighed in at 207 lbs. 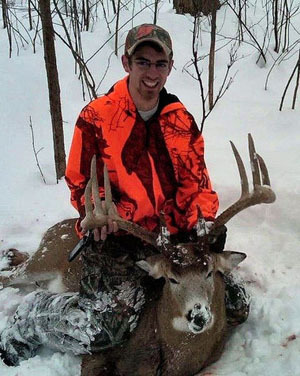 Shane Barrett, 21, of Marcellus, with his 185 lb. 10-pointer taken with muzzleloader. The buck sports a 20 3/4" spread. 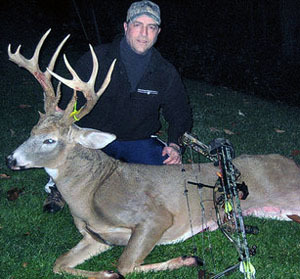 David Mitson, 45, of Camillus, poses with a 10-point buck he shot with a bow on November 7, 2010 in Cazenovia in the town of Fenner. non-typical, taken in Suffolk County in 2009. 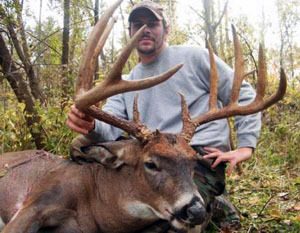 The buck is the 2nd largest non-typical ever taken with a bow in New York. 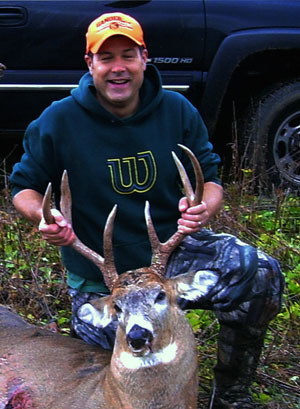 Jamie Vann arrowed this 11 point Seneca County Buck. 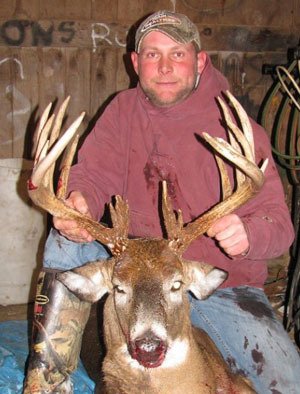 The typical racked buck officially grossed 174-6 and netted 159-0 B&C by the NYS Big Buck Club. Pete Cuervo had his chance on the morning of November 7, 2010. 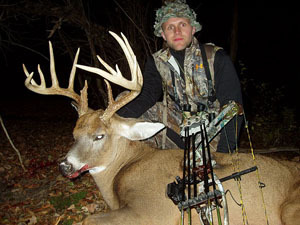 After an unfortunate gut shot with his bow, and six days and 2/3 of a mile, he finally put a tag on this massive non-typical with 21 scorable points and officially net scores 192-1 B&C. The DEC aged the buck at 7.5 years old. 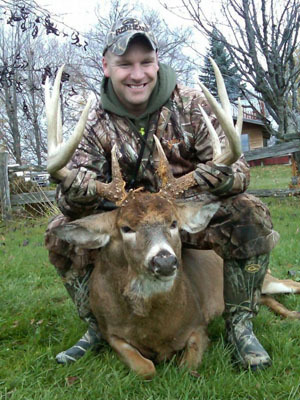 Buddy Jacques 41 of Syracuse arrowed this 23-point buck in Lafayette, NY on Nov. 6, 2010. 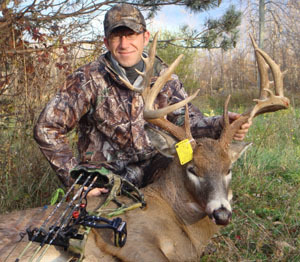 The buck officially scores a net 190-3 B&C as a non-typical. 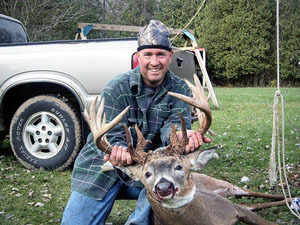 John McCarthy Jr., 27, of Auburn, took this massive, 17-point buck in Aurelius, NY during the 2010 archery season. Check out the extra beam on the deer's right side. 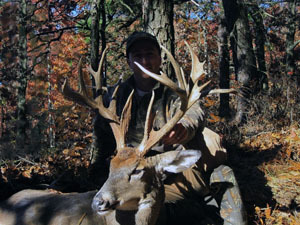 The buck officially scores 177-6 B&C as a non-typical and grosses 184-1 B&C. 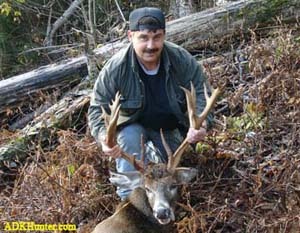 This buck was taken on Nov. 6, 2010 by North River, NY resident Bob LaVergne. 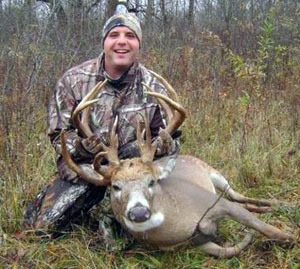 The buck weighed 178-pounds and sports a non-typical rack with 21-points. The massive buck will likely score in the 190's as a non-typical, making it one of the top non-typicals of all time in NY. 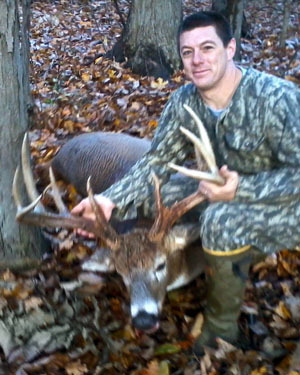 This monster 17 point buck was taken in New Paltz, NY on November 4th by Gene Twerwilliger. 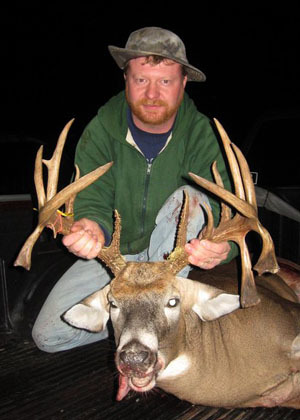 The bruiser buck grossed 173-3 B&C and netted 166-4 B&C. It was also aged at 3.5 years old.